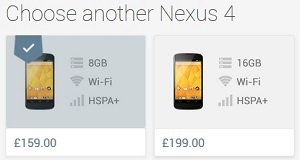 LG Nexus 4 price dropped down for UK customers. The 8GB and 16GB version of the 4th Nexus got a 20% off. The new cheaper price is now live on Google Play Store. Nexus 4 is the last Google Nexus smartphone until now from November 2012. 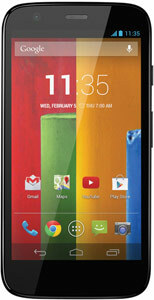 The new price of LG Nexus 4 smartphone is £159 & £199 for the 8GB & 16GB version.